Structured House Group, Graham, Nixon Construction & BOHO attend ‘topping out’ on historic site. 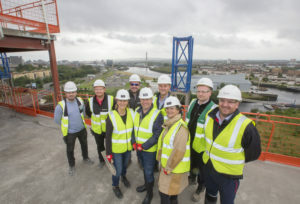 The team behind the latest development along the historic Clydeside at Scotway House marked a significant milestone as they reached the top of the build. Structured House Group, together with Graham, were pictured on the top of the 14-storey build during a topping out ceremony. The £40million GDV project is a significant investment for the city and has brought more than 300 jobs and employed a number of local companies. This is the first in a series of projects planned by Glasgow-based Structured House Group (SHG), as part of a £500m joint venture deal with a US company signed earlier this year. The project team is joined by Director of Nixon Consultants and Structured House’s Chief Operating Officer, Richard McFadzean. Nixon Consultants is leading as employers’ agents, project managers and principal designers. Scotway House is located on the historic site of the former Meadowside Shipyard Office – which recorded the build of more than 30 anchor line ships in its day – and will house 399 students when it opens in September 2019. 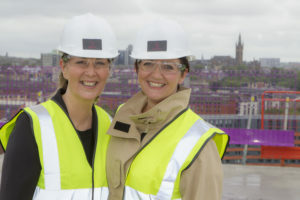 Christine Young and Gillian Sloan of BOHO, the Glasgow-based property-management company set up by Structured House to run and manage its hotels, residential accommodation and student apartments, also attended to see the progress of its new student built. 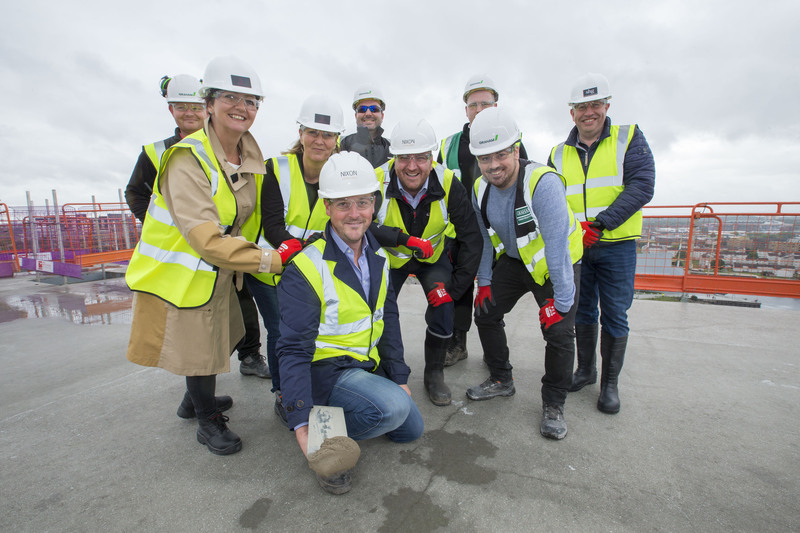 Craig Inglis, CEO of Structured House Group, said: “We have reached a significant milestone on the build and we are proud our new accommodation will be a landmark along the Clyde.